Hey everyone, ranked warzone will be coming in patch 1.2 (scheduled for March) so for many of you this might be a busy time to grind valor/commendations/battlemaster gear. 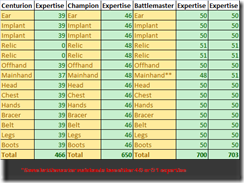 Here is a list of compiled information on Warzone /PVP information that I think many of you will find handy. 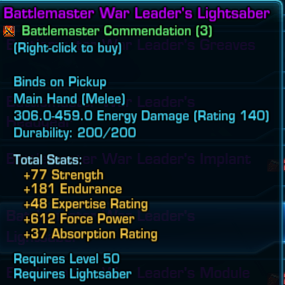 Most of the information is not from me but rather from other members of the SWTOR community and credits will be given where needed. 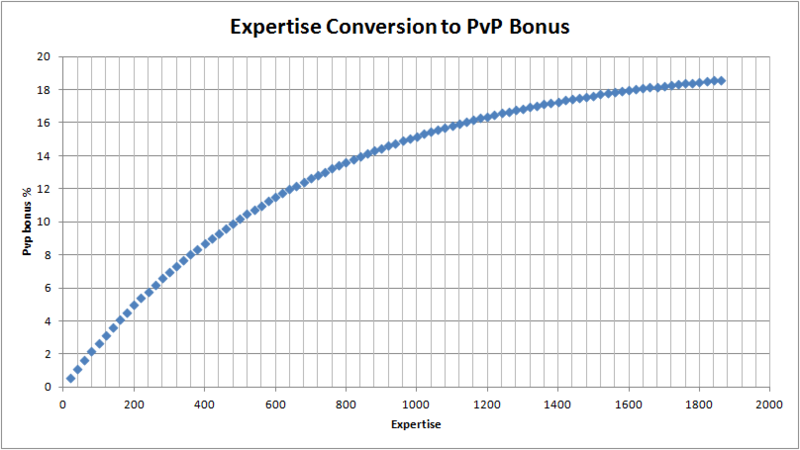 Expertise granted PVP bonus caps out at 20%. To see the diminishing returns, this graph will help you with that! 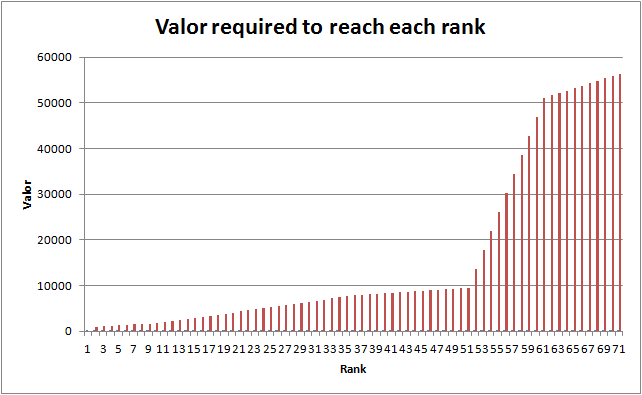 Estimated total number of Warzones (Warzones): Calculated assuming 1000 valor per warzone. Numbers are rounded up. Estimated number of hrs: Calculated assuming 15 minutes per match – numbers are rounded up. Resolve is the circular bar to the left of your character’s portrait. It fills to full at 800 but does not provide CC immunity until it reaches 1000 (bar turns white). Stun/Mez/Knockback abilities applied to an enemy under 1000 resolve that will push the enemy to or over 1000 resolve will generate resolve at 150% (i.e. an 2 second stun applied to someone at 800 resolve will generate 2x 200 *1.5 = 600 resolve, pushing the target to 1400 resolve. For players under 1000 resolve, resolve start to drain once the CC effect ends at a rate of 25 resolve per second. For players with 1000 or higher resolve, resolve will drain as soon the 1000 mark is reached at a rate of 100 resolve per second. 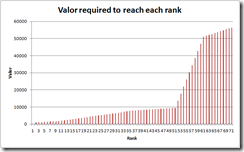 20 base valor is granted per player kill on Ilum – this is modified by the war effort and defender buff. If the enemy player was recently killed, you get 0 valor. 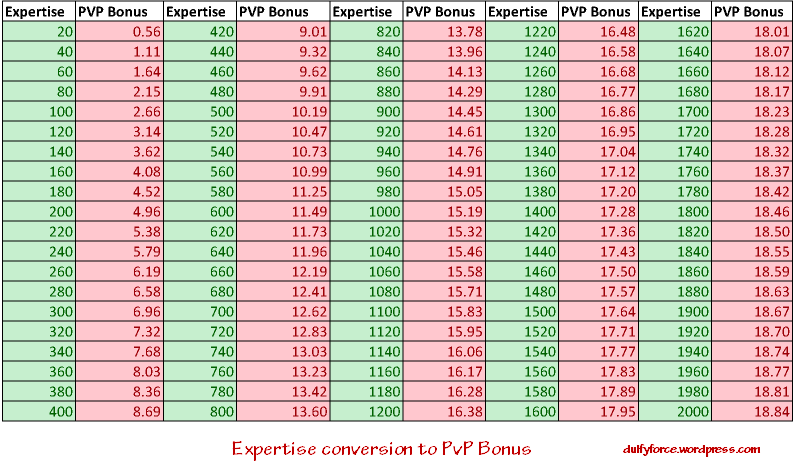 War Effort buff – 200 valor bonus if you have 5 stacks. 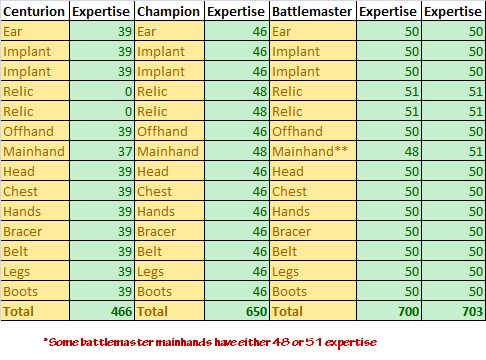 You’re missing Hands in the Gear Expertise calculations. Could you explain what “defender” points are and how they’re acquired?